A good place to start your shopping bout! Ask any Malaysian where is the best shopping spot to head on for- the most likely response will be the famous Bukit Bintang Golden Triangle. 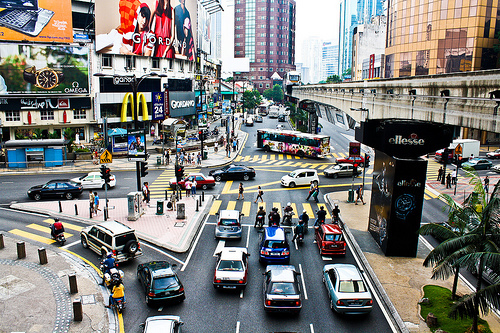 Bukit Bintang is indisputably the city's foremost shopping district, strategically located in the vicinity of major hotels and chic entertainment outlets. 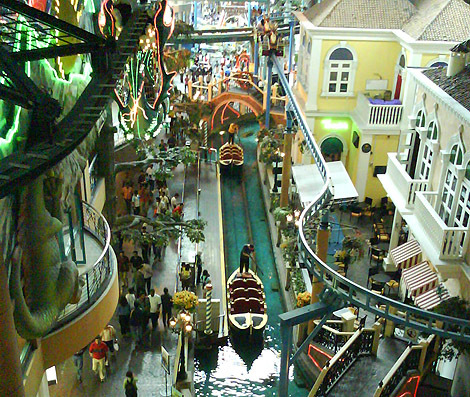 A visit to these major shopping complexes is a must for all tourists in Malaysia. Central Market is a must visit spot if you are a first time visitor to Kuala Lumpur. It is a former wet market that has been refurbished to become a centre for handicraft, antique and art sales. Central Market located along Jalan Hang Kasturi, a few minutes away from Petaling Street. This Market is in the heart of Kuala Lumpur and strategically located with public transportation links to all major destinations and hotels while the KL Sentral railway station is only 1 km away. 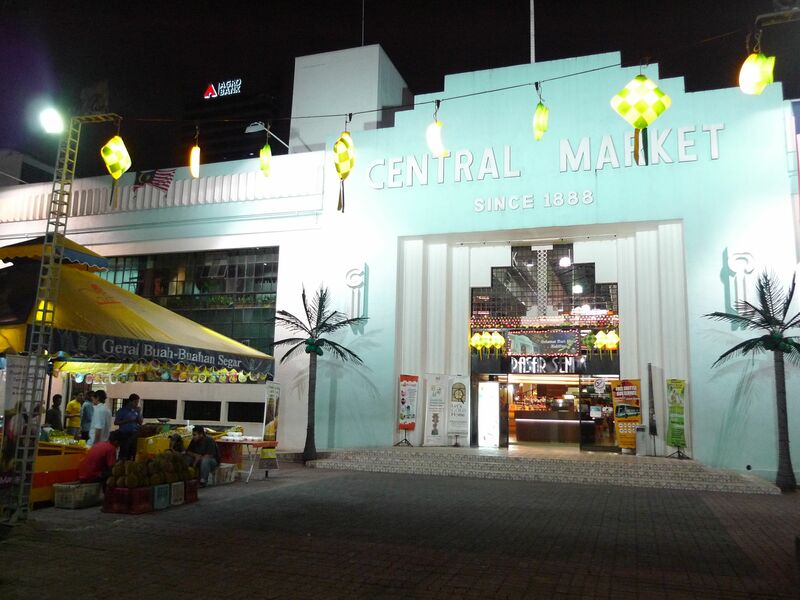 Central Market is a one stop shopping centre for Malaysian products such as handicrafts, art, kebaya, songket, batik and the wide variety of Malaysian cuisine. Visitors are able to witness the local artists and craftsmen at work. They can even have their profile drawn and portraits painted by the portrait artists or have intricate glass souvenir specially made for them by the glass blowers. Central Market is certainly the best place to look for souvenirs and exclusively made handicrafts. Central Market has created a corner to display multi ethnicity and zoned the stalls based on the features of each race. The new zone therefore would consist of 3 lanes: namely the Lorong Melayu, Straits Chinese and Lorong India. The purpose of this new zone is to let the visitors have an insight of the cultural difference of the various races in Malaysia. Besides, there also a Malacca Jonker street a street featuring double storey and single storey Baba-Nyonya styled architectural buildings, a Batik Emporium which houses well known designer labels with the best Malaysian made batik items ranging from clothes, shoes, bags to home finishing. Central Market is a historic landmark of Kuala Lumpur and there can be no other better place to remind the younger generations of the Malaysian Culture that has been so entrenched that people of all races can come together to live in peace and harmony. For more information, please contact Central Market Management at 0320310399/5399/7399/9399. Alternatively you could also surf their website at http://www.centralmarket.com.my for further updates. 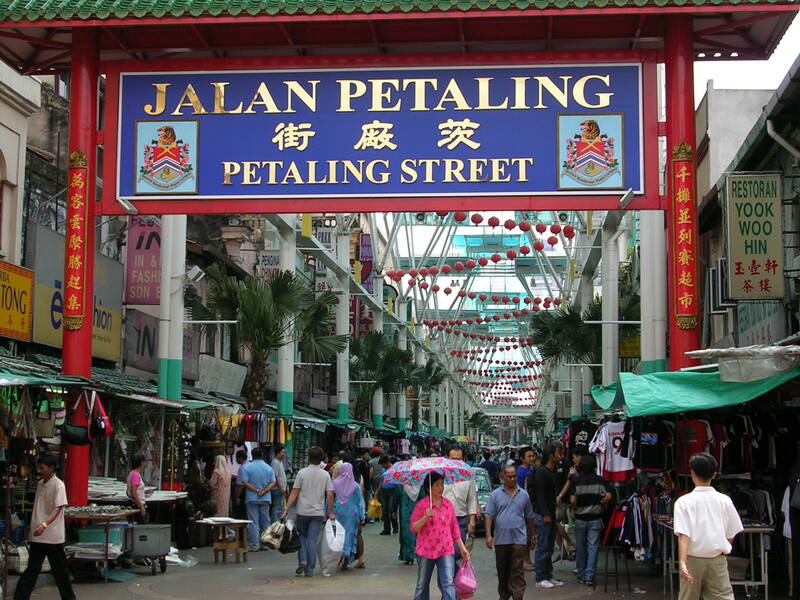 Petaling Street- Kuala Lumpur's very own Chinatown is a hive of sound and activities. Located at the heart of the city bustling Chinatown, Petaling Street is the place to head for those who are interested in experiencing the excitement of bargaining for their purchases. Petaling Street is endowed with a distinct character of its own. Its popular night market is a daily feature. Walk, linger or browse as the sights and sounds capture one's imaginations. Flaking both sides of this street are shops selling anything from textiles to Chinese herbal medicine. This is a good place to purchase Chinese artifacts lie igurines, incense-holders, paintings, joss-sticks and bric-a-brac. Other interesting items include herbs for traditional remedies and sweetmeats. Aged craftsmen at work in their shop houses can be seen producing goods such as lanterns, tin ware and calligraphy items along the streets. Baskets and boutiques of fresh flowers make a refreshing sight amid the bustle and din of hanging over prices. The cool mountain air makes it an exhilarating experience to enjoy the many rides at the Outdoor Theme Park. Whether taking leisure drives in the adrenaline pumping Space Shot, it's a magical adventure of fun and excitement for the whole family! Hop on the dare-devil rides, get thrown in the air, get spun around, and tossed over, feel the adrenalin, rush! Like a moment suspended in the time, you are transported to a world where laughter and revelry abound. You will surely cherish every single moment that you spend here. 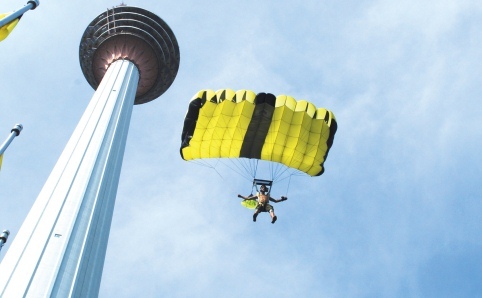 At a highest of 421m above ground level, Kuala Lumpur Tower is a place that every visitor to KL must visit. Menara Kuala Lumpur ranks fourth amongst the tallest telecommunications towers in the world and was constructed over a period of four years and completed in May 1996. The KL-Tower's architecture reflects the country's Islamic heritage with the construction detailing Arabic Scripts, Islamic tiles, classic Islamic floral and abstract motifs and soothing colour combinations. Besides the panoramic view, Menara KL has something for the city-dwelling, nature enthusiast. The verdant green surrounding Menara KL is the Bukit Nanas Forest - the only oldest gazetted forest reserve in the country. The museum was established in 1888 as Selangor Museum. After almost being virtually destroyed by bombs during the 2nd World War 1945, proposals were made to set up a central museum for Malaysia, hence once completed the National Museum was officially opened by Yang di-Pertuan Agong III, Tuanku Syed Putra Al-Haj Ibni Almarhum Syed Hassan Jamalullail on 31st of August 1963. Collections in the museum vary from ethnographical objects, archaeological artifacts and natural history specimens. The National Museum has a fine collection of Malaysia's historical artifacts and thousands of rare items depicting its past glory, culture, arts and many other distinct items. The exhibits are on a rotation basis, so it is best to check out the museum on their exhibits at the time. 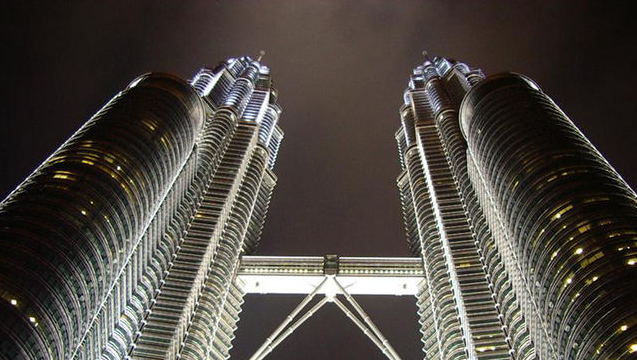 The 88-storey Petronas Twin Towers, also known as KLCC the world's tallest twin structures. However, the towers are still the tallest twin buildings and office building in the world. Inspired by the geometric shape found in Islamic architecture, this gleaming mega-structure was designed by Argentinian-American architect Cesar Pelli. Completed in 1997, the Twin Towers are a striking glass-steel combination with floor plans based on an eight-pointed star. Petronas Twin Towers located in the heart of the capital city, the crown of the Kuala Lumpur contains a complex of office buildings, conference halls, a sprawling park and an upmarket shopping complex. Stretching out to one side of this architectural masterpiece is the spacious and beautifully landscaped KLCC Park. The towers are joined at the 41st and 42nd floors (175m above street level) by a 192 ft-long (58.4m) double-decker Sky Bridge-linking the two sky lobbies and facilitating the movement between the two towers. Those interested in visiting the sky bridge where admission is free, have to queue up for tickets. Visiting hours are from 9 am to 5 pm daily except Mondays. 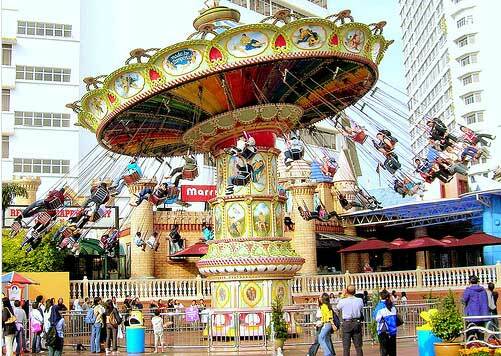 Other attractions at KLCC are Suria Shopping Complex, Petronas Philharmonic Hall, Petrosains Science Centre, Petronas Art Gallery and Kuala Lumpur Convention Centre, where The Aquaria Oceanarium is situated. The Dataran Putra or the Putra Square is designed to be the nation's leading centre for staging national events and formal parades. Located at Precinct 1, Dataran Putra comprises an outer 11-pointed star, which represents the 11 states when Malaysia gained independence, followed by an inner 13-pointed star representing the subsequent 13 states of Malaysia, and an inner-most 14-pointed star that represents the 13 states as well as the Federal Territory. 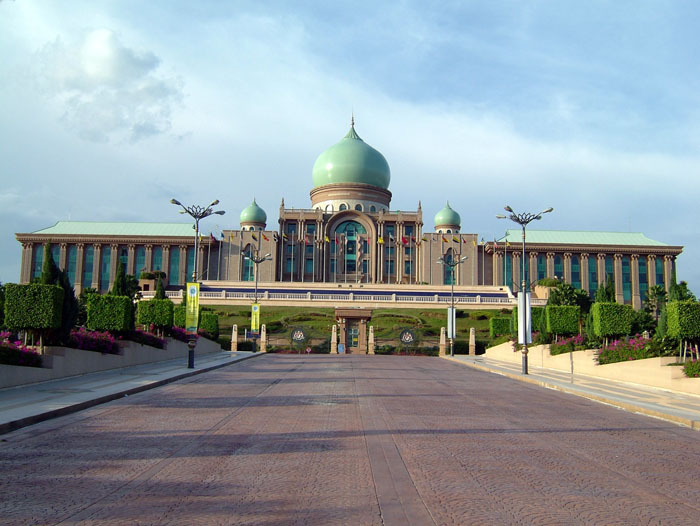 As the venue for major events, the Dataran is one of the most attractive landmarks in Putrajaya. Its design incorporates local motifs and cultural values. The circular shape of the Dataran does not only determine the termination of the Boulevard but also acts as a hinge linking the Boulevard axis towards the Mercu Tanda. Indeed, it is the main access to the Prime Miniter's Office complex, Perdana Walk, Putra Mosque, Putra Bridge and the Promenade. 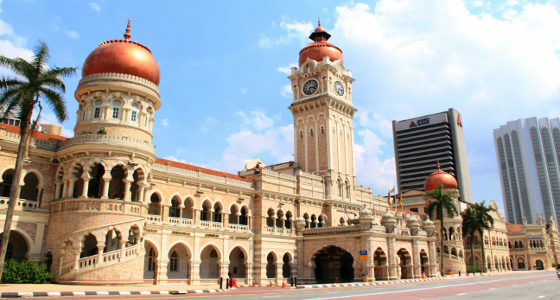 The Sultan Abdul Samad Building was constructed in 1897 and has long been a landmark for Malaysia and Kuala Lumpur. The unique Moorish-style building has a 41m clock tower, dubbed 'Big Ben'. The design of this building was undertaken by a British architect, A.C Norman, who worked for the Public Works Department at that time. In designing this building, he took into consideration some of the features of buildings in several Islamic countries. The predominantly Moorish appearance of the building suitably reflects the cultural background of Malaysia. The site of this beautiful building was carefully chosen. 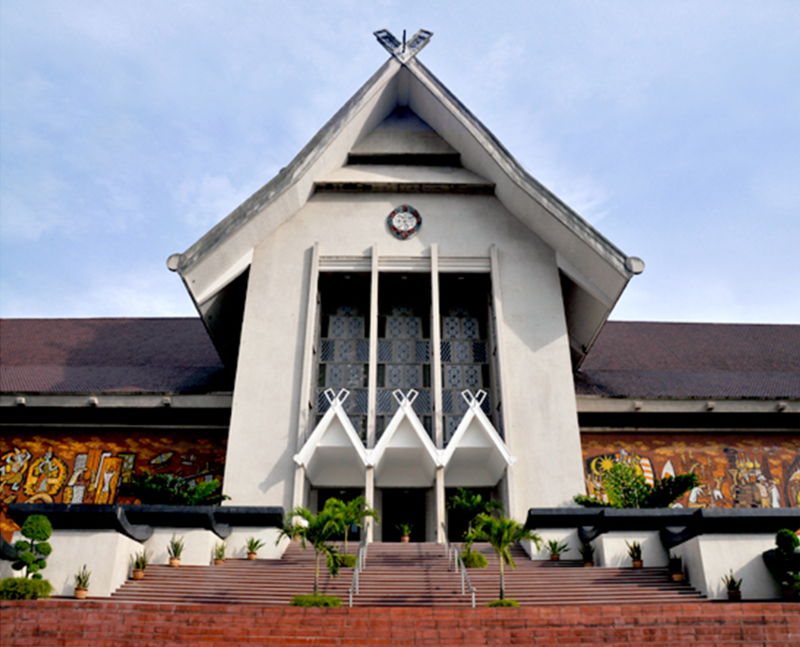 It is conveniently located at the centre of the old mining town of Kuala Lumpur. It once served a the Colonial Secretariat offices, but now houses the Supreme and High Courts. Zoo Negara (literally National Zoo in Malay) is a major zoological park in Malaysia located on 120 acres of land in Ulu Klang, near Taman Melawati on the north-east of Kuala Lumpur. 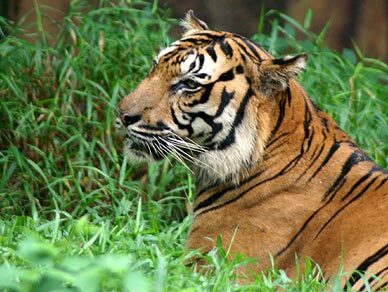 Zoo Negara is the first national zoo in Malaysia. Zoo Negara (National Zoo) was officially opened by the country's first prime minister, Tunku Abdul Rahman on 14 November, 1963. There are more than 5137 animals from 459 species of mammals, birds, reptiles, amphibians and fish. Among the attractions at the zoo include Akuarium Negara opened in 1972 and in 1984 renamed Akuarium Tunku Abdul Rahman, Bird house, Reptile House, Ape Centre, Savannah Walk, and Mammal Kingdom. There is also Zoo Negara by night. Catch a glimpse of many animals who are at their most active at night. It is particularly popular during weekends and public holidays. Besides just watching the animals, there are performances by orangutans and sea lions as well. The Zoo is a valuable resource for all visitors from within Malaysia and overseas.Light Rail Transit System (LRT)Alight at Wangsa Maju Station, Kelana Jaya Line. Board a taxi to Zoo Negara.BusMetrobus number 16 from Central Market, Kuala Lumpur.